The Triangle as a Cross Cultural Symbol in Art & Life. 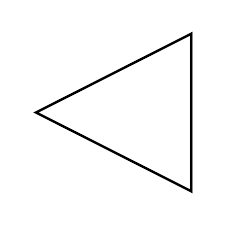 A triangle may seem like a relatively obtuse and boring subject to consider, but o’contraire! When I was about 7 years old, extremely shy, I found a way to express my inner repressed exuberance during ‘music time’ in school. We were given an opportunity to play a little instrument, and I chose the triangle – rare anymore, one taps, slides (or bangs) a metal triangle shape with a short metal rod, making a variety of sounds. Apparently, I was too enthusiastic and got called down by my teacher; shamed and appalled, I withdrew from this potential life pathway, concluding I had zero music and performing skills. This really transformed my life, as I’m sure I would have been a go-go girl in the 80’s and morphing into a stage performer of some sort! The Storal of the Mory? (…moral of the story)…. Whether foisted upon one, chosen, random or synchronistic. These ‘trinities’ reveal an archetypal evolutionary pattern we participate in, typically in an unconscious manner. The energy of 3 that permeates deep conscious knowing, beyond any religious tradition and accessing the purely spiritual realm, is the # 3 as a code summarizing fields of experience, that resonate with our deeper wisdom consciousness. 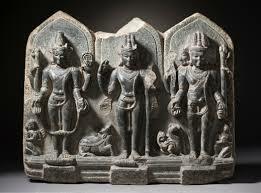 Here is a sculptural wall shrine depicting a similar trinity relationship. The structure of the wood backdrop is such that each holy banana (as a human-like figure) is framed by a sacred arch and identified by the written labels: Physical, Mental and Spiritual. These titles allude to aspects of being human; the multi-layered facets of our existence. 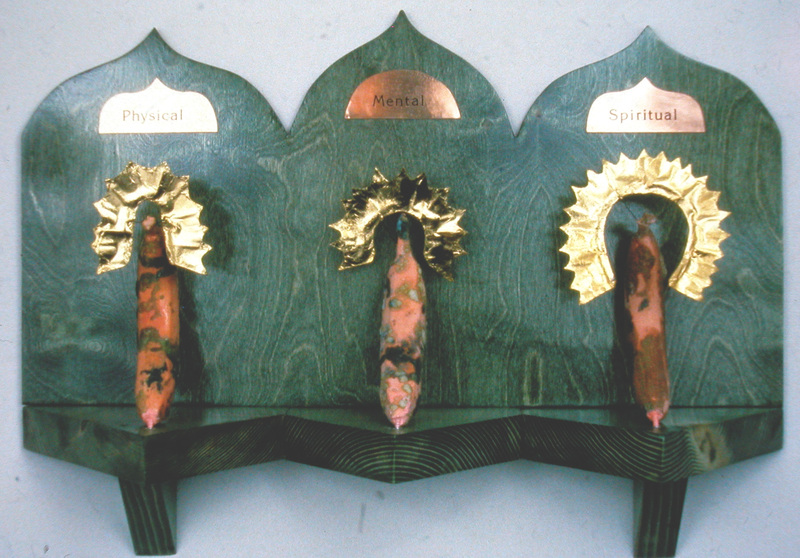 You can ‘read’ the piece like a book, from left to right, recapitulating the movement of human evolution, from embodiment to spiritual presence. If you want to see this art, click here. The Second Dimension: Symbolic Shape. 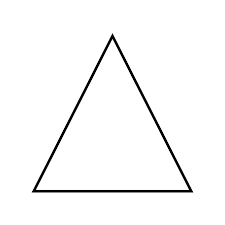 Triangles have 3 sides and 3 points; as a symbolic drawing, they can have direction: sideways, up or down. The direction of the focal ‘point’ of a triangle is significant. You could be directed Up, Down, Left, Right, …. Just start to look around and notice triangles around you and what you know them to be… all about changing and direction!! 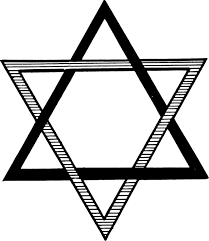 In alchemical symbolic language, triangles are symbols for the elements: Earth, Water, Fire and Air. 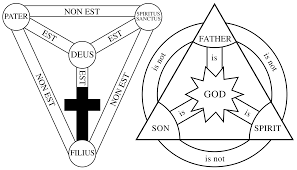 Below is a picture of what is used in ancient texts/manuscripts. 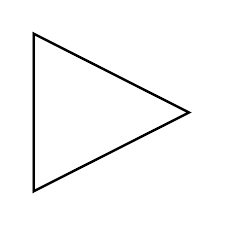 An interesting side- note is that the basic equilateral triangle is still used as a symbol for ‘change’ in chemistry. I use it when writing quickly in a kind of short hand. 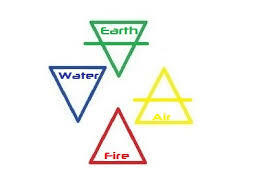 We see that 2 of the 4 basic elements are triangles without any other lines: water and fire. 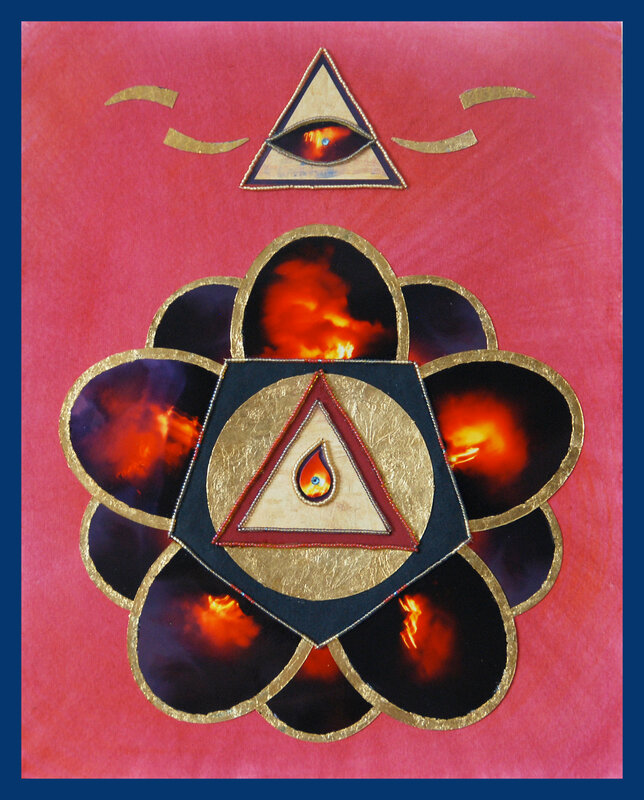 In this related work of art, the Fire triangle points upward, and is associated with masculine attributes of strength, action, and courage. Fire’s inherent properties include heat and dryness; fire also symbolizes passions, both mundane and spiritual. It is a rising force – easily seen if we gaze into a fire, we see material transformed into the ether, something no longer visible. It is a transformation; purification through burning. Click here to see the work. 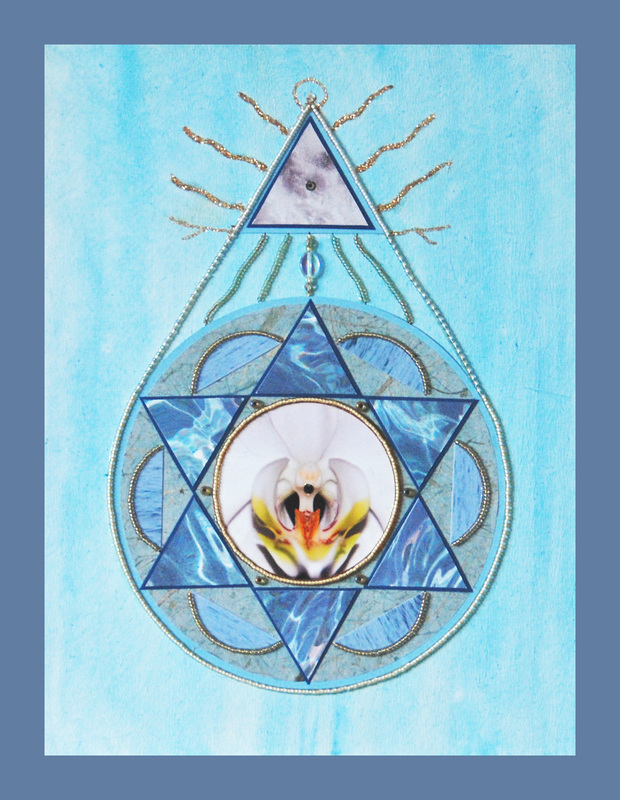 Both water and fire are creative source energies, moving naturally towards the earth (downward pointing) or up and away from it (upward pointing). 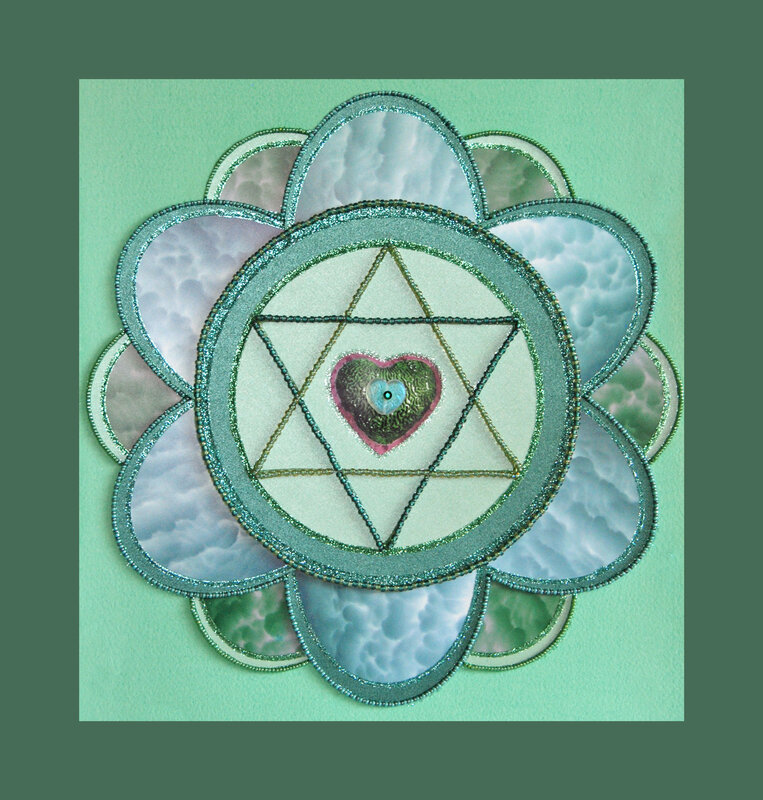 When you combine these 2 directions, you get a balance of energies – and a 6 pointed star – a balance of upward and downward energies promotes a perfect balance of the up/down, in/out, creating stillness and centering. The 2 opposing directions of triangles may be combined with other sacred geometry, either in a classical or expressive manner. depicts the spiritual heart center. 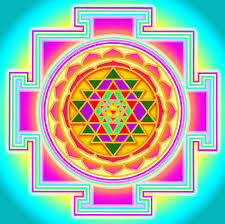 One of the highest regarded symbols arising from the sacred geometry tradition is that of the Sri Yantra. 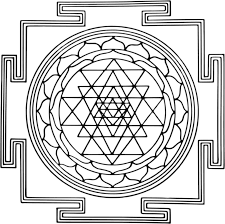 This is a meditation tool arising from the Tantric Lineage of Yoga; a visual tool that one uses to focus, and align with it’s spiritual principals. 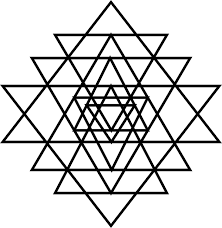 It is composed of 9 overlapping triangles that create 43 smaller ones; it is the visual expression of OM, or the primordial sound of the universe denoting creation. 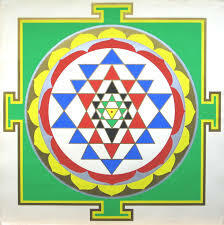 This yantra is a kind of tuning fork to resonate with universal energies. Try it! 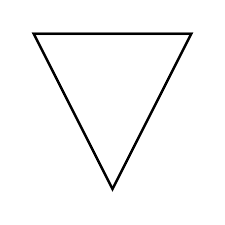 There is so much more about triangles to know, but this is a good start to seeing those little shapes in a whole different light; after all ignoring a Yield sign may bring about significant changes in your life (or not…). Bringing awareness of these symbols into everyday life merges the 2 dimensional symbolic reality with the 3 dimensional plane of physical reality. May these highlights allow you to ‘see’ the own ongoing signs and prompts for your ongoing transformation! What and where can you create triangles that remind you to keep growing and transforming?